Home / Landing / Precision Approach / How does a pilot land the plane? Most People often are intrigued by how airplanes land, as an aspiring pilot myself the approach and landing is the most fascinating phase of flight for me since an aircraft flying at 900kmph approximately slows down to roughly to 250kmph and a number of controlled parameters lets the aircraft smoothly touchdown. It’s true that Flying is the 2nd best thrill known to mankind, landing is the first! In this article, I will discuss the most popular and safe technique of approach that is used at almost all major or smaller airports in India and around the world. This type of approach is also called the Instrument approach or ILS, the pilots have horizontal and vertical guidance to land the aircraft. The primary flight display (PFD) as shown in the picture will have 2 diamonds shaped indicators that help pilots perfectly line up to the center of the runway and descend onto it on a uniform glide angle that is rough 3 degrees, London city airport in the UK has a glide angle of 5.5 degrees making it one of the steepest ILS approaches in the world that only a few pilots are certified to operate. 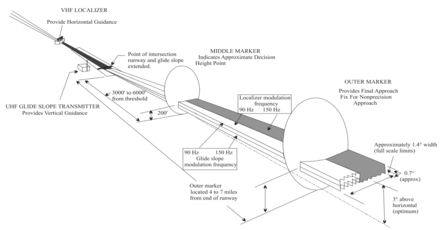 The horizontal guidance is offered by a component called the localizer, when the aircraft is on an intercept heading and upon receiving ATC approval the pilots arm the Localizer on the aircraft autopilot system, the ILS system uses radio waves to communicate with the Navigational radio equipment on the aircraft, it is tuned into specific frequency of the ILS which different for each runway, once the aircraft is in the range of the Localizer the aircraft automatically lines up to the runway. Once localizer is captured the pilots arm the approach mode of the autopilot which captures the vertical guidance system or the Glideslope component of the ILS, using this as the reference along with PAPI lights the pilot know if their altitude is perfect or below/above the required glide path. Generally, the autopilot descends on the glideslope and pilots disengage the autopilot and take manually control below 1000ft above ground, even while the Autopilot is disengaged the ILS indicators still show helping the pilots remain on the optimum vertical profile. Maintaining the optimum vertical profile is very important since it’s the minimum safe altitude (MSA), aircraft altitude being below MSA can risk collision with a building, terrain etc. Precision approach path indicator or PAPI are 4 lights at the ends of the runways that are equipped with ILS, they are either red or white they indicate the pilots if they are following the optimum approach glide path or are above/below it. 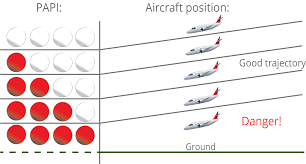 2 red 2 white lights means that the aircraft is descending at optimum glide angle, 3 white 1 red means that the aircraft is slightly higher than the glide path, 3 red 1 white means the aircraft is slightly below glide path, all 4 white means the aircraft is too high and all 4 being red means the aircraft is too low in that last 2 cases usually the pilots go around and come back for a more stable approach. They cannot look into the PFD for reference. What is CAT I, II, III ILS approach? ILS approaches are categorized into CAT I, II, IIIA, IIIB, and IIIC these categories are based on the RVR or Runway visual range, basically, the difference between the categories are the runway visibility during approach. 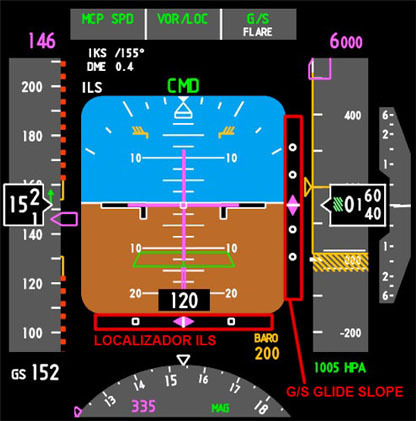 Categories of ILS are also based on Decision Height (DH) it is a specific height above ground during approach the pilots decide to continue approach or declare a missed approach and go around, at DH the aircraft should be stable and at the optimum glide path and the pilots should have the required visual reference to continue with the approach. CAT I – Decision height is not lower than 200ft and RVR not less than 550 meters. CAT IIIC is a concept that is only theoretical since there can practically never be 0 visibility or an RVR less than 50m is very rare and no runway in the world is CAT IIIC certified yet it. These are published by DGCA and each aviation regulatory has its own specifications. Apart from DGCA regulations airline SOP also dictates pilots to perform a mandatory autoland when there is an RVR lower than a certain threshold, an autoland can be performed only on ILS equipped runways since it’s a precisional approach. 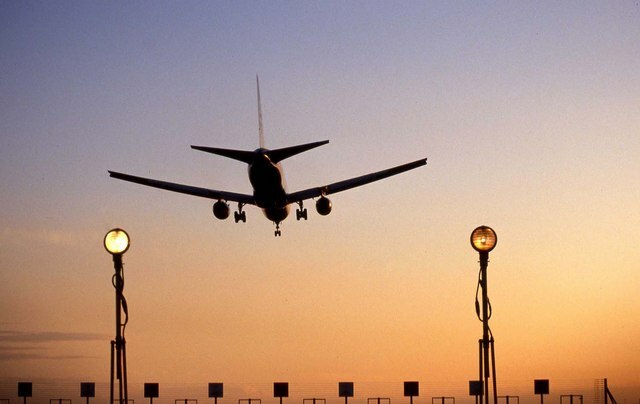 Only certain airports in India are CAT III certified like Delhi and Kolkata, hence in the airports that don’t have the certification an aircraft cannot land when the RVR falls below the minima, they will have to delay take off to let the weather clear or divert to an alternate airport if already en route. CAT III equipped runways to require a complex high-intensity approach lighting system that help pilots look out for traffic during taxi and landing. Since the DH is less or no DH at all the pilots have to be very careful to make sure the runway is vacant, they have lesser time to initiate a go-around due to a low DH. In India generally, Pilots don’t take manual control during low RVR conditions, however, FAA allows the pilot to take manual control during a CAT III approach only in the presence of a HUD or a head-up display. GLS or GBAS (ground-based augmentation system) landing system is a GNSS dependent alternative to ILS which uses a single GBAS airport ground station to transmit corrected GNSS data to GLS equipped aircraft to enable them to fly a precision approach with much greater flexibility. Both the aircraft and airport have to be GLS equipped. In conclusion, the ILS is the most widely used system for landing and it can be used with any aircraft that is capable of IFR navigation. Its only limitation that it cannot be used in areas with terrain where RNAV is generally used which is GNSS dependent.